Ask us about our shredding services. 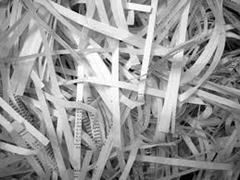 Your paper materials are fed into shredding blades where your information is turned into shreds of unreadable print. Carry in your unwanted documents and let us dispose them.